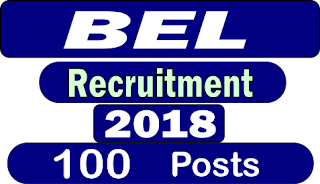 Bharat Electronics Limited (BEL) Ghaziabad welcomes applications for Apprenticeship Training Program for the year 2018-2019 from Degree/Diploma holder applicants. Amid the time of Apprenticeship, the applicants are administered by Apprentices Act 1961 and similar arrangements/principles of the association. Age Limit- Maximum Age is 25 years as on 1st October 2018. Qualification: Diploma / Degree in Engineering in concerned streams from recognized by AICTE, Government of India. Selection Process Based on Written Test only for Diploma Engineers and Interview for Graduate Engineers. Last Date: The last date for receipt of application is 10th September 2018.